You trust Thule with your cargo…. Now you can trust Thule to protect your electronics too!. Introducing the new daypacks, backpacks and cases that are now available. 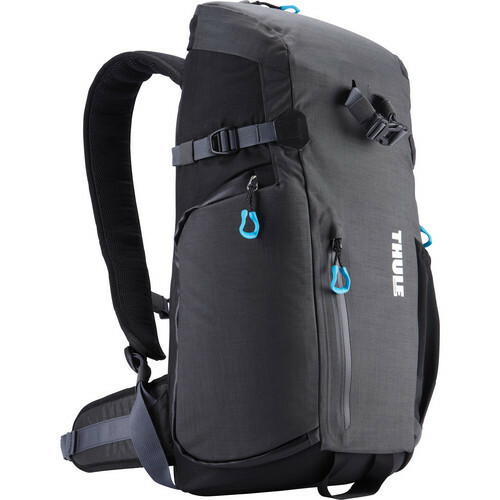 Whether you need the Thule Crossover backpack to haul your Macbook and other essentials or maybe you have some expensive SLR camera equipment and you need to use the Thule Perspektiv Backpack, you can count on Thule. Made with nylon and water-repellent YKK zippers, you will crave these lightweight packs every day. ATV registrations in Maine are clearly trending toward higher numbers. In 2003 there was a peak of over 66,000 registrations in Maine. A significant amount of effort has been placed on ATV law enforcement by Maine Game Wardens. Landowner complaints coupled with increasing registrations created a situation in the late 1990’s in which the Warden Service had to re-evaluate it’s law enforcement presence and approach regarding ATV’s. Trail systems have continued to grow and landowner cooperation is becoming easier for ATV clubs to use and maintain trail systems in many areas of Maine. Another snow storm but this time we got a bit of rain on top. The snowmobile trail groomers are going to be out in force. There is plenty of snow pack throughout the state to allow you to go where ever you want on your snowmobile. Now you don’t have to spend thousands of dollars on a trailer to haul your sled. Rage Powersports has the perfect snowmobile ramp for you. Rage Powersports has been working on this design for years and now they say they have perfected it. The Rage Powersports Snowmobile Ramp will accomodate almost any sled on the market. Here it is holiday season again. It’s time to load up the car and go on that long trip to visit relatives. You have the husband and wife in the front, kids in the back seat and lots of gifts in the back storage area. So where do you put your luggage? Rage Powersports has thought of everything. They have the solution for you. Their deluxe roof cargo basket carrier mounts to most SUV’s and mini-vans today. Measuring 45.25″ x 30.25″ with a 200 lb weight capacity, Rage Powersports deluxe roof cargo basket with powder coat finish is sure to please. If you own a Corvette, Mustang, Viper or Ferrari or maybe you operate a service station that works on those car models, then you need to check out these low profile sports car ramps from Rage Powersports. They even work for low pick-up trucks. 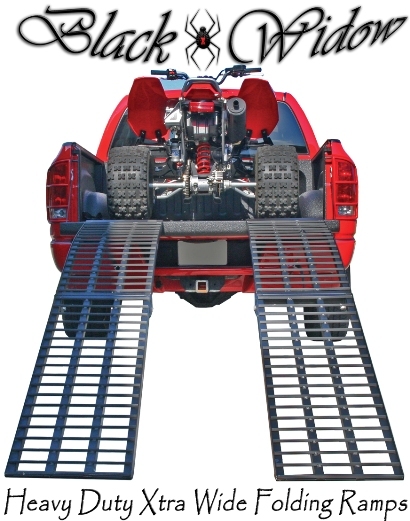 These ramps will get your low profile vehicle 9-1/2″ off the ground safely and easily. Once you get the vehicle on top of the platform you can then remove the ramps to give you even more room to work. These ramps and all of the cargo products from Rage Powersports are backed by their one year warranty against factory defects. If you’re looking for superior protection for your fragile instruments and electronics then look no further than Hardigg cases. Pelican-Hardigg cases are known the world over for their toughest and most durable cases to transport sensitive equipment. The Pelican-Hardigg cases are widely used by commercial, industrial and military shippers worldwide. Built with rugged rotomolded exterior shells that take all kinds of abuse, Pelican Hardigg cases will stand up and stand out. The Pelican story began back in 1976 when the founder of Pelican, Dave Parker, saw the need for rugged flashlights and cases that wouldn’t leak or fail. Pelican joined forces with Hardigg and continues to run manufacturing plants in the United States and Europe. At Lorsey.com we carry the entire line of Hardigg Storm Cases. Hardigg cases feature the same long lasting quality that you have come to expect from Pelican. 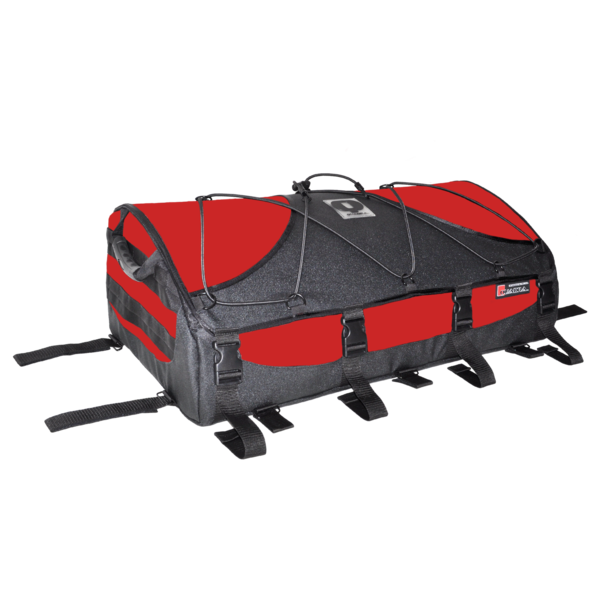 If you like to travel and carry with you some sensitive equipment such as computers or cameras you may want to consider a Hardigg Storm Case. Hardigg cases are waterproof and virtually indestructible. Don’t let the baggage handlers at the airport ruin your gear. The Aquapac Noatak is such a versatile dry bag that can also be used as a backpack. It comes in two sizes, either 15 liter or 25 liter and is very affordable. So if you’re heading out on a short trip or long trip and wnat to protect your clothes and gear from the weather, consider a Noatak Dry Bag from Aquapac.